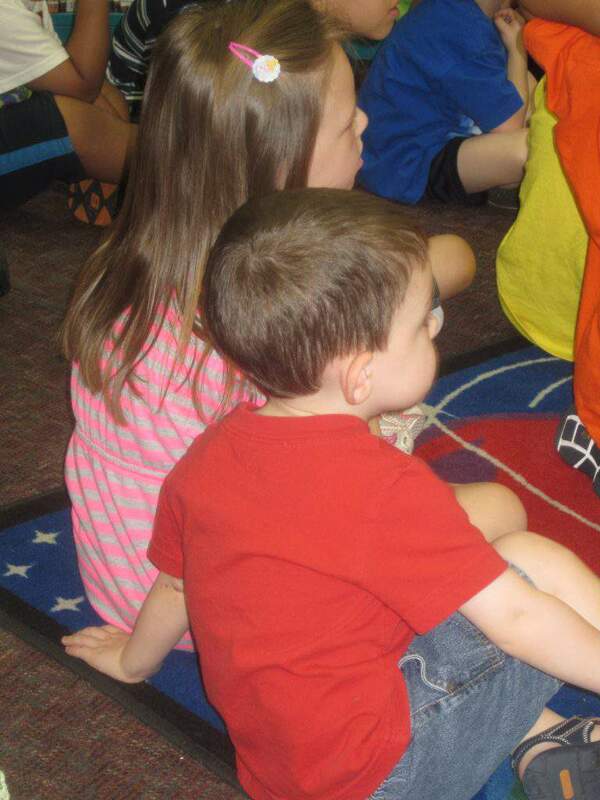 We continued our 4 Weeks of Frugal Family Fun with one of our most favorite activities….storytime at our local library! 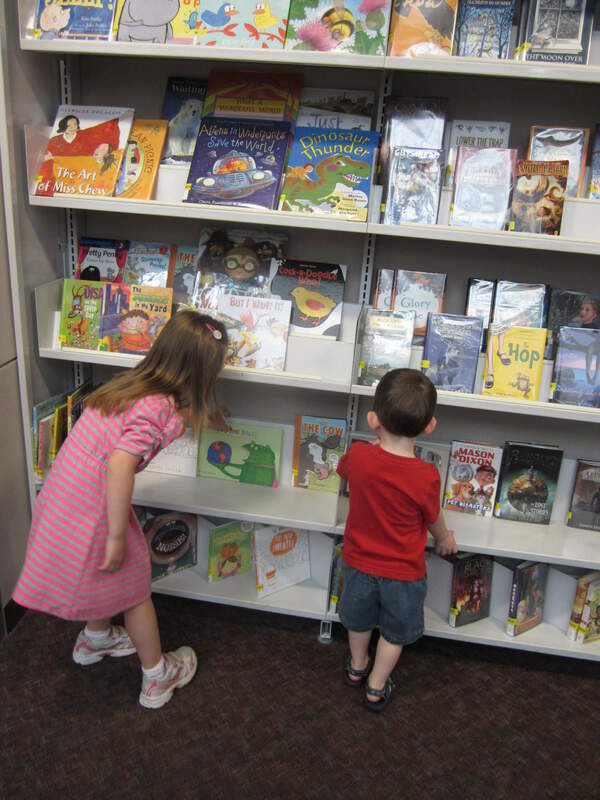 I started taking my kids to storytime when they were little babies; I think it is so important to introduce reading and books while they are small, to hopefully instill a love of reading as they get older. So far, it has totally worked with my daughter, and I couldn’t be happier. She’s already a book lover, just like her mom and dad! 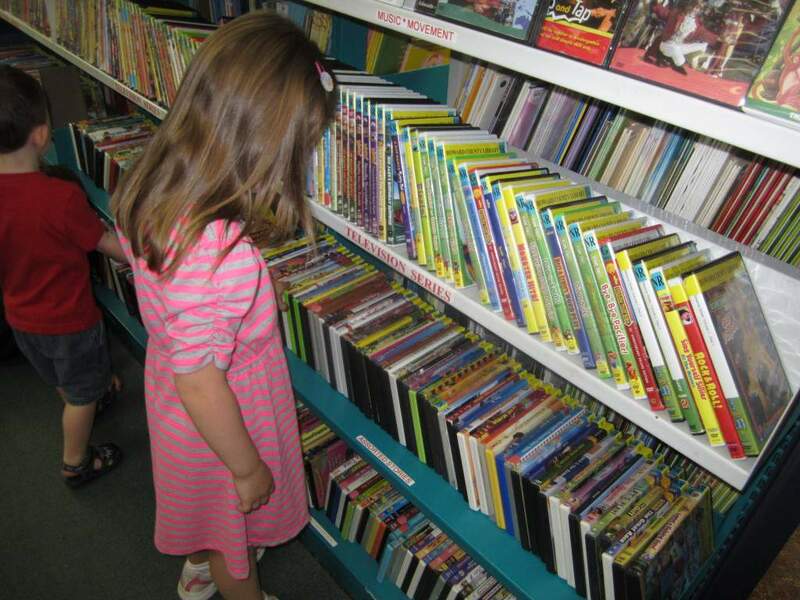 After storytime, we head over to the shelves and pick out our weekly supply of books and videos. We usually only watch 1 or 2 each week and read the library books at bedtime. The best part about the library, besides all the wonderful books, movies and classes, is that it is free! What could be more frugal than that? Love it! We love going to the library, too. I think all the free programs/classes they offer for kiddos is amazing. We go every week, sometimes more than once. 🙂 Your little ones look like they’re enjoying storytime! I went and picked up a few books and a movie this week. We don’t have to get too many books from the library. We have so many given to us by my mom-in-law who is a librarian. She finds books all the time for the kids. So we have quite a few books at home to read. We went to storytime for the very first time this week with our 1 year old. I was really impressed! I think it will be a weekly summer staple for us. We have another commitment during the school year, but we will take all the free educational fun we can get during the summer! 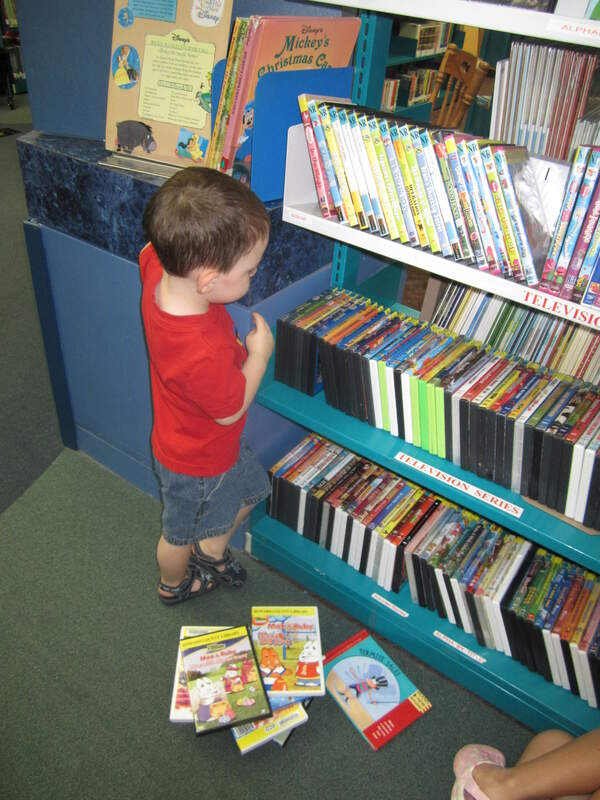 My son loves to shop for books and DVDs at the library. It is almost like his own little story. Usually he will only watch and read one or two things over and over but we usually have 50 books and DVDs out at the same time. I am really impressed with how many different things that our library has had this summer like music groups, Spanish guitar player, Mad Scientist, and movies. We got to the library 3-4 times each and every week! !